If you have received any Gilbert criminal or DUI charges you should contact James Novak, Gilbert Criminal Defense Attorney or as soon as possible, to consult him regarding your charges. The Law Office of James Novak devotes 100% of his Law Practice to defending DUI and Criminal Cases. 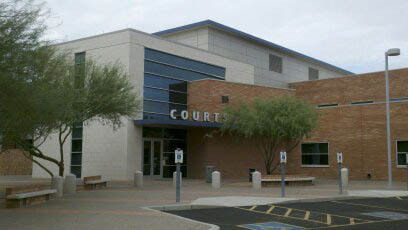 James Novak’s office is located in The East Valley, just a few miles west of the Gilbert Court. James Novak has been handling Gilbert Criminal and DUI charges for the last decade and defends cases in Gilbert Court on a daily basis. He is very familiar with Gilbert Court, protocol, procedures, judges, prosecution and laws and defenses that apply in Gilbert, Arizona. He defends criminal and DUI cases on frequently in Gilbert and his office is located just a few miles from the Gilbert Municipal Court. If you face Gilbert Criminal Charges or were arrested in Gilbert you were given or mailed a Complaint or Citation. That document will indicate the location, date and time you are to appear in court. If you have not hired an experienced private practice Arizona criminal defense or DUI attorney who defends cases in Gilbert, then you must appear for your Gilbert DUI or Criminal case at the court, time and date of the citation. One mistake people commonly make is ignoring or failing to appear for their court date on the designated date and time at the designated place. If you fail to appear as specified, a warrant will be issued for your arrest. If you have hired a Criminal or DUI Attorney, who frequently defends cases in Gilbert AZ, he will give you further instructions as to when and if you need to appear for that court date. He will inform you on the next step, address and concerns and educate you on all the facts including nature and classification of the charges, direction, what needs to be done, what he will do, as he begins building a strong Gilbert Criminal Defense on your behalf. A Criminal Charge in Gilbert is not yet a conviction. If fact, criminal and DUI charges are dismissed with the Gilbert Legal Representation of a good Criminal Defense or DUI Lawyer in Gilbert every day. You may have been arrested or charged, but that in and of itself does not “convict” you make you “guilty”. Your Constitutional Rights which allow you to fair treatment under the law and the right to retain a Criminal Defense Attorney––Use it! The Gilbert Prosecution will do nothing to defend you or help make your life easier, get your DUI dismissed, or charges reduced. They are only interested in getting convictions. Only a good private practice Arizona Criminal Defense Lawyer, like James Novak, who defends DUI and criminal charges in Gilbert, AZ will fight vigorously in your defense. James Novak will gather and examine the evidence, determine if your constitutional rights have been violated, look for flaws or weaknesses in the prosecutions cases, and build and customize an effective defense strategy. He will fight to suppress all evidence, get your charges reduced, and work for a dismissal of the charges completely. With representation by a private practice Criminal Defense and DUI Defense Attorney like James Novak, your chances of getting a good outcome on your case significantly increase. The key to a successful Gilbert Criminal defense is to get your Gilbert Criminal Defense Attorney on board as soon as possible. Call James Novak today and let him begin building you a strong and successful defense: (480) 413–1499.